We’re a relatively young country, but the United States of America has a rich history of music. Not only that, we’ve got a rich history of songs about our rich history. Just ask Ed Pettersen. 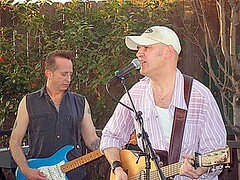 Ed is a poet, picker, and “punk-blues” purveyor and producer living for the past several years in Nashville. And with a team that includes Janet Reno, he put together Song of America, a big, old, various-artist collection of songs outlining the strange and complicated history of this great land — both the official version and various alternate views that go beyond the wars, political campaigns, and other stuff they teach in school. There are patriotic tunes, protest songs, musical retellings of historic events, and songs about changes in our society. Janet Reno? Yes that Janet Reno. This is her dance party. She’s the aunt of Pettersen’s wife, Jane and it was her idea to put together such a collection after she heard Ed sing a few history-related folk songs at a family get-together. The former attorney general is listed as an executive producer for Song of America. This three-disc set is a good companion to another three-disc set, Freedom: Songs From the Heart of America, released by Columbia Legacy a few years ago as a soundtrack to the PBS series Freedom: A History of US. Freedom covers a lot of the same ground as Song of America. In fact, many songs like “This Land Is our Land,” “Home on the Range,” “The Times They Are Changin’,” and “Brother, Can You Spare a Dime?” can be found in both collections. 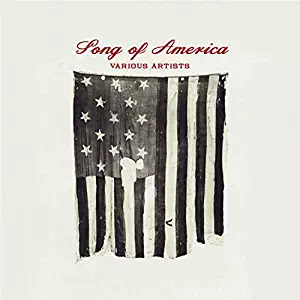 But Freedom consists mostly of historic recordings — original songs by Louis Armstrong, Gene Autry, Paul Robeson, Kate Smith, Bob Dylan — while Song for America consists of all-new versions of songs recorded by contemporary musicians especially for this project. And Pettersen’s collection covers one important aspect of the American story that Freedom, for reasons I’m not sure of, barely touches upon — displacement and immigration. The first disc of Song of America starts out with “Lakota Dream Song” sung by Earl Bullhead (and produced by Albuquerque’s Tom Bee of SOAR — Sound of America Records), establishing the fact that the story of this country isn’t only the story of Europeans. There is another song about Native Americans called “Trail of Tears,” performed by the duo Will and Jehnean. Then there’s a tough version of “Apache Tears,” written in the early ’60s by Johnny Cash and performed here by rocker Scott Kempner (formerly of The Dictators and The Del-Lords). The issues of race and slavery also are prominent. Two of the strongest tracks are James Brown’s “Say It Loud, I’m Black and Proud,” covered by Nashville soul revivalists The Dynamites with Charles Walker, and a hopped-up hiss-and-vinegar “John Brown’s Body” by Marah, who sound stronger than they have in years. There’s also the recurring theme of rebellion. “John Brown’s Body” is a prime example. Pettersen sings “The Liberty Song,” a Revolutionary War tune that the liner notes say “was perhaps our first protest song.” Harper Simon (Paul’s kid) does a defiant “Yankee Doodle” (backed by Country Joe on pennywhistle!) that ends in a crazy guitar grunge-out. And there’s even a version of Grandmaster Flash’s “The Message” by Atlanta rapper Shortee Wop. And there are songs from the working man and woman’s perspective. Freedy Johnston sings a bluegrassy take on the Industrial Revolution lament “Peg and Awl,” while country star Suzy Bogguss does a sweet, jazzy “Rosie the Riveter,” a salute to women working the factories during World War II. There are plenty of musical highlights here. Bettye LaVette sings a soulful take on Bruce Springsteen’s “Streets of Philadelphia.” Chris and Rich Robinson, of The Black Crowes, team up with their father, Stan, as Folk Family Robinson and sing a spirited “Reuben James” (a song co-written by Woody Guthrie, Pete Seeger, and Millard Lampell). For pure weirdness, I’m very taken by raspy-voiced folkie Malcom Holcombe’s “The Old Woman Taught Wisdom,” a 1767 song based on an extended metaphor urging King George and the Colonies to patch things up. And speaking of Brits, John Wesley Harding sings a version of “God Save the Queen,” with a horn section that gets more discordant with each verse. It’s true. Songs aren’t just important to our history. Sometimes the lyrics can serve as the basis of our foreign policy.